rojakmee Before qtr report sure rm1.50 now collection time. ASIAPAC WILL BE POWERING UP BY 3 BOOSTERS ON ITS ROCKET!! ASIAPAC WILL FOLLOW JUST LIKE NAIM UP 100% OR MORE!!! ASIAPAC GOES LIMIT UP JUST LIKE NAIM SHOT UP TO OVER RM1.30!!! BETTER DON'T MISS ASIAPAC NOW!!! sooaria Can I buy more Naim to average, please Calvin, what is your thought. Ameera Jia lat... tomorrow drop samore..
jcpy Time to accumulate on weakness. Ameera this will go up once it’s drop to the bottom..
used_fx Meet at 0.8x-0.9x soon. Depeche No fear...this year will be a good year for Dayang and Perdana...this is good for Naim...hold for big rewards by year end. jcpy Good opportunity to average down/up. Am happy to load up more. Sell off seemed overdone. Depeche Year end share price could be 2.00 already. Depeche Investors in Dayang are aiming for tp 3.00. Lol still wan goreng with dayang n kyy factor ? sarawakian63 1.7 DWL can get why Naim cannot? leoz88 Come back lah Naim!!! Invest123 Q result, out next month, expected to be very good. Ameera Yes.. this is the trend.. after Dayang is NAIM..
NAIM’s share price is still undervalued as we opine that investors have yet to fully appreciate the embedded values of its construction and property businesses. the current implied value of RM214m market cap (Naim’s market cap of RM550m-RM336m) on its core businesses is only 5.4x P/E against its Sarawak’s peers of 9-10x! Given its robust construction orderbook of RM1.9bn, positive prospects of Dayang and resilient earnings from its property division (despite the challenging outlook) coupled with the expectations of more pump-priming activities before Sept 2021 state election, market could assign a higher rating on NAIM. 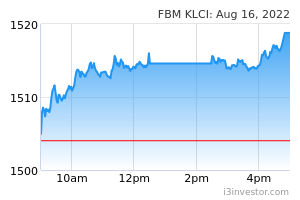 Currently, the stock is trading at 0.43x P/B, 63% lower against its Sarawak’s peers. Technically, the stock is poised for a downtrend line breakout above RM1.18 to advance further towards RM1.28 levels. NAIM - proxy to Sarawak’s stimulus measures, backed by a RM1.9bn sizeable orderbook (~4.8x FY18 construction revenue). NAIM has sizeable development land banks in Sarawak with low holding cost, mostly located in critically masses population areas like Kuching and Miri. Currently, the group has three flagship mixed development projects in Sarawak, namely Kuching paragon, Bintulu Paragon and Bandar Baru Permyjaya, Miri (developing on a total ~730 acres site). In addtion to the above, Naim has other land banks totaling ~1800 acres located in Bintulu, Kuching and Miri for future development. Bandar Baru Permyjaya in Miri (BPP) is a self-contained township developed on a 3300 acres site (indicative GDV of RM5bn), located close to Miri’s central business district. prices to stage a breakout above RM1.18 (downtrend line) to advance further towards our LT objective at RM1.28 (9 April high). jnal Maybe good news coming soon..
88Tan good new? Any idea which good news?